This is an excellent introduction to torch work! 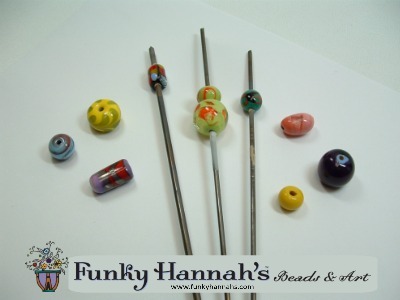 Funky covers all the basics of safety, equipment set up and teaches the skills necessary to get started making your own lampworked glass beads. Great demonstrations and loads of time at your own torch will give you the chance to see what you can do! $65, Supplies & use of equipment included.